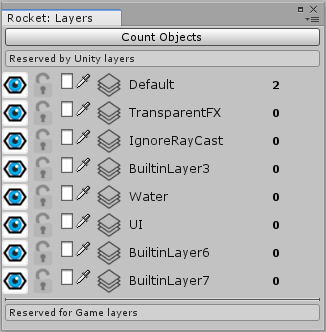 Simple Unity editor extension for managing visibility of layers and categories of objects. The example of ArtPrimitive class below. This class associate the game object with one of art groups and categories. The pannel alow makes visible or invisible layers, also it can make layer protected or not. Additionaly it allow to change layer’s color. And finaly it displays metrics per layer. The pannel alow makes visible or invisible category (or group of categories). Additionaly it displays metrics per category. The enum value EGameLayer contains the names for all layers in your game. For each group static field in the GameGroups class. Each group has fields per each category. In most cases there are no resons access to the layes settings. 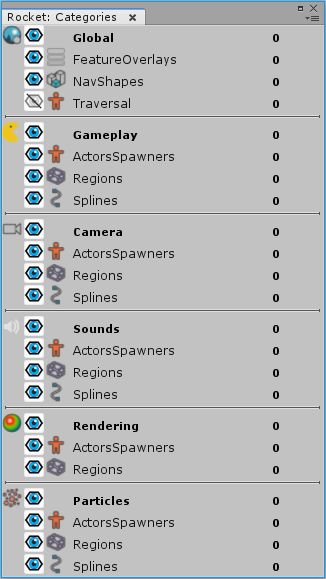 The layers managed directly by unity UnityEditor.